Today, many of us are probably familiar with insulated bags that help keep food cold, or even warm, until you get to your destination. But did you know there was a picnic basket in the nineteenth century that did something similar? 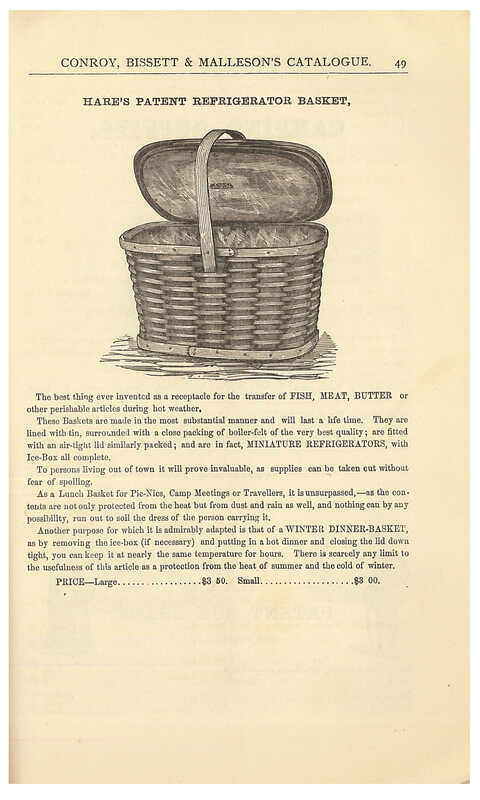 It was called Hare’s Patent Refrigerator Basket and is shown in this 1881 Conroy, Bissett & Malleson trade catalog, Illustrated Retail Price List, and Hand-Book for Sportsmen. Conroy, Bissett & Malleson, New York, NY. 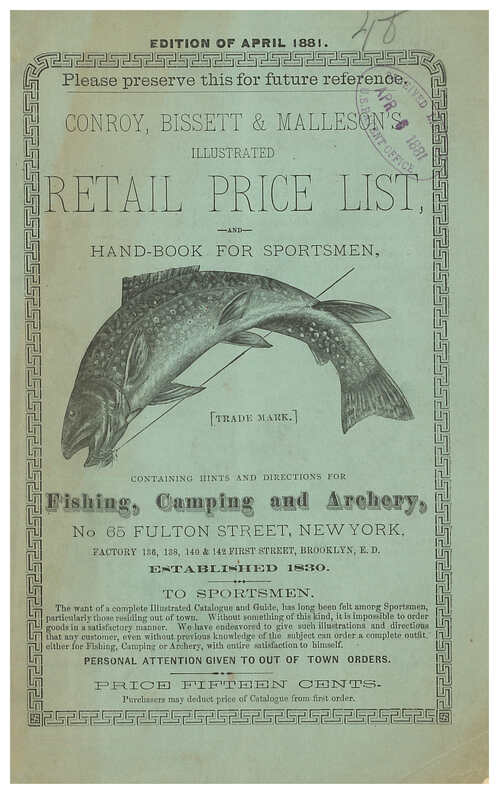 Illustrated Retail Price List, and Hand-Book for Sportsmen, 1881, front cover showing a fish. Conroy, Bissett & Malleson, New York, NY. Illustrated Retail Price List, and Hand-Book for Sportsmen, 1881, page 49, Hare’s Patent Refrigerator Basket. Illustrated Retail Price List, and Hand-Book for Sportsmen by Conroy, Bissett & Malleson is located in the Trade Literature Collection at the National Museum of American History Library. This trade catalog also includes supplies for fishing and camping. Next Post The Anniversary of Museum Cats Day – Cats in Art!